The Database Enhancement Gateway, which allows repairers to make inquiries and suggestions of the Big 3 estimating providers, has been augmented this year to provide weekly tips for repairers on the AudaExplore, Mitchell and CCC programs. If you haven’t used the service before to answer questions about estimating collision repair work or just browse responses to other shops’ questions, check it out. It’s a valuable resource akin to I-CAR’s Repairability Technical Support Portal, but focused on teaching repairers and insurers database usage best practices instead of OEM best practices. OEM replacement parts, such as Toyota hoods and tailgates, can lack seam sealers and require the material to be applied by the repairer. For AudaExplore and Mitchell, this has already been factored into the part replacement time. Mitchell wasn’t swayed by a user arguing to make it a non-included procedure. 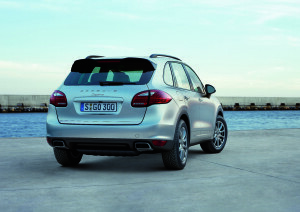 Nor was AudaExplore/Audatex convinced by a similar case made by a user regarding a 2011 Porsche Cayenne tailgate. “There are 2 different styles of seam sealer on the factory part that require between preperation, masking, application, and clean up to give a like new apperance take 1 to 1 1/2 hours of actual time to perform,” the user wrote, suggesting seam-sealer should be non-included. However, CCC doesn’t. You’re supposed to determine if the part needs it and then include it as a manual entry, the estimator told a user who’d asked about 2011 Dodge Avenger doors. “Take note that materials are not included with any labor times in any of the systems!” the DEG warned. Those wanting to learn more about estimating and workflow best practices should check out “Aluminum Damage Analysis and Joining Methods” with Larry Montanez, P&L Consultants; “Process Driven Collision Repair” with Lee Rush, Sherwin-Williams and Scheduling and Work in Progress (WIP) with Tom Hoerner, BASF. The presentations will be at this year’s SEMA Show as part of the Society of Collision Repair Specialists’ Repairer Driven Education series. Register here. If you break it, you bought it unless you remember to add it. Weld damage isn’t an included labor operation in any of the three estimating services, according to the DEG, which quoted guides from the three estimating services. In CCC, “refinish edge” and “refinish inside” are two difference procedures, the estimating service confirmed to a user who was apparently having trouble with an insurer about a 2011 F-350. 1. The exterior surface paint time is for the door skin. This is the surface that faces outside of the car when the door is closed. 2. The “inside” is the inside of the door shell; this is the surface area that faces the driver and interior of vehicle when the door is closed. 3. The “edge” is the area between the exterior and interior surface. This would be the crimped area as well as the portion of the door which the user describes as the “jamb” area. This is the area that faces the lock pillar. Just because an estimate doesn’t fully sync with an IP’s data doesn’t mean it’s wrong, the DEG reminded users. CCC and Mitchell both note that their times specifically refer to an work on an undamaged, factory floor model and installing new OEM parts. AudaExplore’s times also refer to brand-new OEM parts, though it’s unclear what condition of vehicle they’re assuming. Remember that AudaExplore doesn’t build labor times the same way as CCC and Mitchell. For example, one labor report for a panel might include the guide number for overlap and the total labor before overlap is taken into account, as well as any operations relevant for a certain repair. See the P-Pages for more on this topic. It’s a way to “go to the videotape” for a repairer and insurer if there’s a question about the estimate. And after that, of course, you can always contact the DEG.